What New Hearing Aid Technology Can You Expect in 2019? The first hearing aids were conceptualized almost 400 years ago. We’ve got Francis Bacon to thank for that. He was talking about ear trumpets to help the hard of hearing as far back as 1627. Technology has developed considerably since then! From the early days of ear trumpets, conversion tubes, and auricles, to carbon hearing aids, battery-powered vacuum tubes, and finally to a transistor, and digital hearing aids, we’ve come a long way. Clearly, there has been some impressive progress in hearing aid tech. This is good news. After all, there are roughly 466 million people around the world with disabling hearing loss. But where do we find ourselves in 2019? What new hearing aid technology will be available this year? Hearing aid tech has come a long way over the last 4 centuries. Here’s the best of what 2019 has to offer. The development of own voice processing (OVP) by Signia marked a major recent development in hearing aid tech. It’s difficult to overstate the benefits it presents. Simply, it marks the demise of auditory occlusion. It will now be possible for most people to wear closed dome aids without the booming sounds of occlusion. Likewise, it can take considerable time for many people to get used to their own voice. That’s especially true when wearing hearables for the first time. OVP promises to remove this obstacle. Imagine wearing your hearing aid without any unsettling tones of your own voice ringing away in your ears. The development of inertial sensors offers a glimpse at the bright future in store for hearables. With modern technology, a hearing aid will go far beyond its typical functioning. For instance, there’s major scope for them to play a key role in keeping us safer and healthier. After all, our ears can offer all manner clues into our wellbeing. Sound too good to be true? Well, it’s already happening in the case of onboard inertial sensors. These sensors work to detect falls and track your physical activity. If you fall over, they realize what’s happened and then report it. That might not sound much. However, over 3 million older people go to emergency rooms every year in the US having injured themselves in a fall. Serious head injuries are common. The ability to monitor falls through hearing aids will be a major benefit. Inertial sensors are just the start. Biometric sensors go even further. Recall how your ear can reveal much about all manner of health issues? 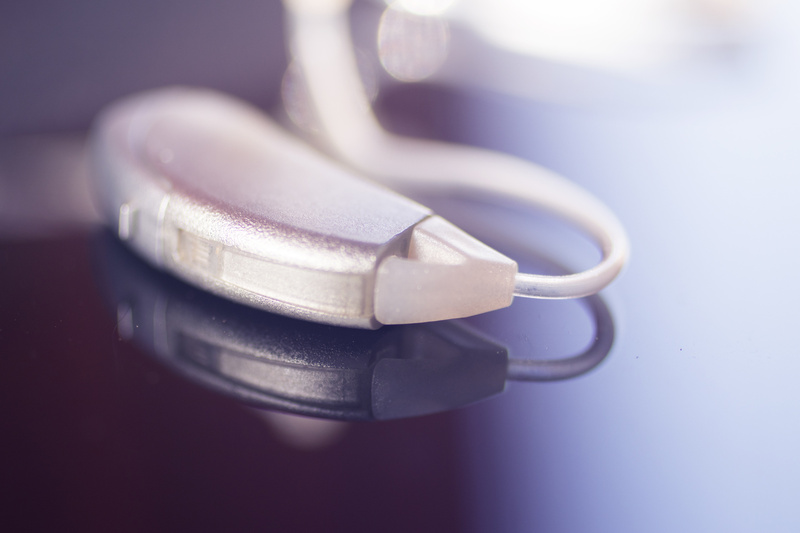 Biometric sensors fitted into your hearing aids can now help monitor them. Vital signs and activity levels will be monitored. More than that, as the technology develops we’ll be able to measure blood oxygenation and pressure too. Likewise, hearing loss is linked with particular comorbid ailments. These can include cognitive impairments, heart disease, strokes, arthritis, and cancer. Imagine wearing a hearing aid that will effectively keep an eye on it all. 2019 marks the beginnings of this innovative tech. Clearly, hearing aids can do far more than improve your hearing. The gift of this shouldn’t be understated. However, the potential of hearables, in combination with modern technology, can extend far beyond their primary function. Remember when a mobile phone was just a phone? Then it became your alarm clock. Then your radio, and then your camera, TV, map, and now the all-purpose handheld computer it is today. Hearing aids could go a similar way. The incorporation of Alexa (or Siri) is one such example. Imagine your very own in-ear personal assistant to help you go about your day. You benefit from better hearing while planning your calendar, asking about the weather, calling friends, and so on. It offers the best of multiple worlds. Battery life has been a long-standing problem for hearing aids. As the market advances, better battery life will be an essential selling point among companies. This is especially true as the functionality of hearables develops. Consider how the battery life of mobile phones can suffer from excessive use. Hearing aids would face the same fate if battery technology didn’t advance with their new functionality. Thankfully, 2019 is seeing the necessary improvements. Rechargeable batteries are already commonplace. For instance, lithium-ion power cells can last for up to a year and are currently in production. Ever more models of hearables will benefit from rechargeable batteries this year. Different environments demand correspondingly different hearing settings. Compare going for a long and blustery walk with a night at the opera, for example. The requirements are, of course, significantly distinct. The same is true for different people. We all have particular preferences and needs. And that’s never truer than with something as personal as hearing. A one-size-fits-all approach to hearables is never ideal. Artificial intelligence is offering a solution to the problem. Hearing aids with AI will automatically adjust their sound settings to your personal preferences. They learn what you like, and adapt accordingly. There you have it: new hearing aid technology to look out for in 2019. Hearing aid tech has developed hugely since its early origins in the 17th century. This year we’re reaping the benefits of almost 400 years’ worth of progress! We’ve seen 6 of the most notable advances here. Thanks to own voice processing, 2019 will mark the end of problems with personal voice. Inertial and biometric sensors, with their ability to monitor our health, both demonstrate how hearing aids will be more than a method of overcoming hearing loss. In that same way, the integration of virtual assistants (like Alexa) will support our daily lives. Finally, we’ll see practical advancements. These will include longer-lasting, rechargeable batteries, plus the capacity to adapt automatically to personal sound preferences. The future (and 2019) looks bright for hearables. Now we’d like to hear from you! What tech would you like to see in hearing aids in 2019? Let us know in the comments! And be sure to check out our other resources for more hearing aid information and updates.